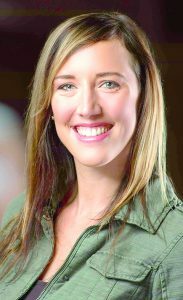 Emily Coutts has been a registered nurse in Glens Falls for the past 13 years. High Peaks Health Coaching is a new company that offers support and encouragement to anyone who wants to achieve and sustain a healthier lifestyle. Catalysts for change can come from any source, said Coutts. Perhaps the client wants help pursuing a different career. Maybe he or she has some relationship challenges or financial concerns. Some even seek assistance when their children go off to college and face an empty nest. “In all these cases, people are simply looking for more out of life,” she said. 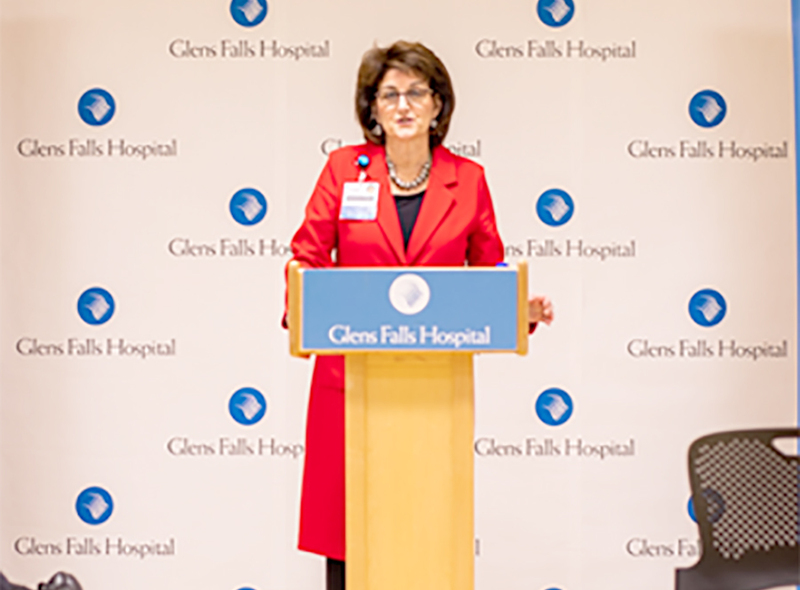 Glens Falls Hospital President and CEO Dianne Shugrue. Glens Falls Hospital and Albany Medical Center have begun a process designed to lead to better coordination of care for residents of Warren and Washington counties and greater operational efficiency for both organizations. The goal of this strategic alliance is to ensure that the Glens Falls region continues to have access to the highest quality care, as well as expanded access to specialty care services, officials said. Glens Falls Hospital, which has long been a partner in care with Albany Med, joins Saratoga Hospital and Columbia Memorial Hospital in a system that will now total 1,507 beds, almost 60,000 surgical cases and nearly 2.5 million outpatient visits annually. An affiliation agreement between Saratoga Hospital and Albany Medical Center that officials said created a more efficient health care system and improved access to specialty care for residents of Saratoga County, received state approval in October of 2016. The agreement with Glens Falls, adopted by the governing boards of both organizations, will help better coordinate and integrate clinical services and identify operational efficiencies between Glens Falls Hospital and Albany Med, the regional tertiary care center, officials said. An AARP study says those who travel report better emotional and physical health. AARP Travel released in October the results of its latest study, examining the health and wellness benefits of leisure travel. According to the survey, those who travel reported better emotional and physical health and improved relationships and productivity at work. Additionally, overall well-being is one of the biggest advantages of travel, with the benefits starting during the initial travel planning phase and extending well beyond the trip, the study said. The longest lasting travel benefit reported is improved relationships with loved ones, lasting six weeks on average. The study shows four of five baby boomers experience at least one health benefit during a trip and 73 percent notice at least one health benefit post trip. By far, boomers get the most health benefits during the trip (56 percent). One in five indicate they experience health benefits before, during, and after the trip equally. Millennials experience a far bigger benefit from planning a trip (23 percent) than Boomers (6 percent). NY State of Health, the state’s official health plan marketplace, announced that more than 4 million people have signed up for health insurance through the marketplace. Enrollment in the essential plan continues to grow, with more than 680,000 enrolled, officials said. The marketplace is ready for its fifth open enrollment period, which begins Nov. 1 and has been extended to Jan. 31, beyond the federal deadline of Dec. 15, to allow New Yorkers sufficient time to enroll.